Though Tauck was founded in 1925, its river-cruise division is one of the new kids on the block. With its first vessel entering service in 2006, Tauck now operates seven ships in Europe: the 118-passenger Swiss Emerald, Swiss Sapphire and Swiss Jewel, sister ships launched in 2006, 2008 and 2009 respectively. Tauck took delivery of the elegant ms Treasures in 2011. In 2014, Tauck took delivery of two brand-new river cruise ships that represent an entirely new class of ship: ms Inspire and ms Savor. The ms Esprit was introduced in 2015. In 2016, Tauck takes delivery of ms Grace and ms Joy. In addition to standard staterooms, each ship has 14 suites measuring 300 square feet with floor-to-ceiling windows, walk-in closets, and marble baths with full-size tubs. Wi-Fi access is offered throughout. All cabins have a flat-screen TV, minibar, radio, safe, and L’Occitane toiletries. The additional 45 junior suites and cabins on Tauck riverboats range from 150 to 183 square-feet, and 85 percent of all accommodations feature floor-to-ceiling windows with French balconies. 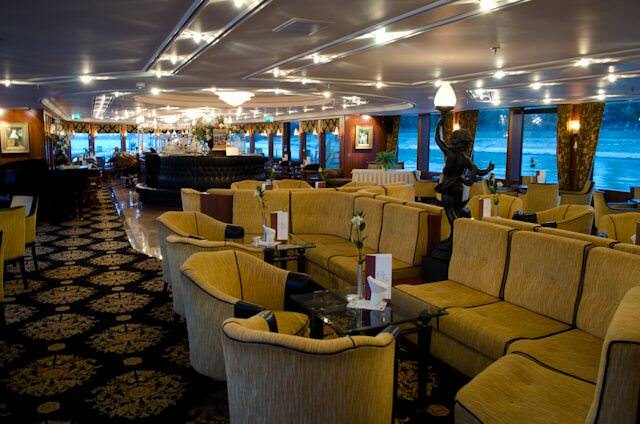 The ships also feature a bistro-style Lido, providing a more casual dining alternative to the main restaurant. The 180-degree wraparound glass wall in the Lido can fully retract, turning an indoor space into a beautiful outdoor retreat. Great emphasis is placed on the experience with Tauck, both onboard and off of your river cruise ship. Photo courtesy of Tauck. Tauck river cruises take you to treasured destinations along Europe’s inland waterways to discover fabled villages and immensely enchanting castles. 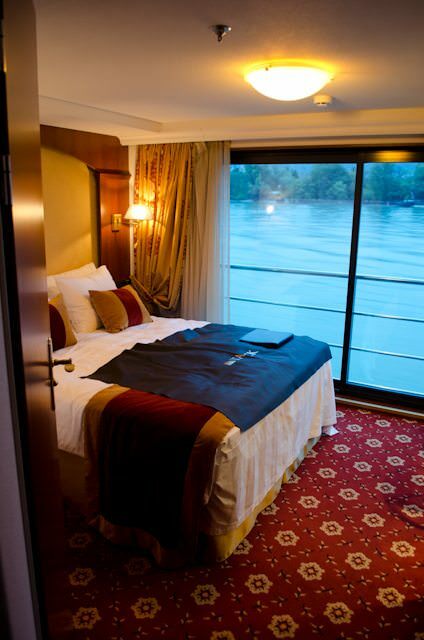 Start each day of your river cruise experience with a new port of call. All Tauck river cruise travel packages feature a well-paced mix of informative and fun-filled travel. Some day tours will take you to two or three different places along your tour route. Other day tours start with guided visits to historic villages where the riverboat is docked. On most days, you can join the Tauck Director and local travel experts ashore on well-choreographed day tours that have earned Tauck the reputation of being the world’s top tour operator. You can also savor the picturesque sights atop the riverboat’s Sun Deck as it meanders gently past grand cathedrals, centuries-old cities and medieval sites while en route to your next storied stop. Riverboat cruises allow you to indulge in a relaxing holiday vacation without the need to pack and unpack as you move from one holiday destination to another. Add to that the fine dining experience and unmatched services of Tauck Directors, and you will definitely find the river cruise as the perfect way to travel. Tauck’s vessels boast more than four-times the number of suites and junior suites typically found on riverboats. Suites feature 300 square-feet of living space with floor-to-ceiling windows, walk-in closets and marble baths with full size tubs. 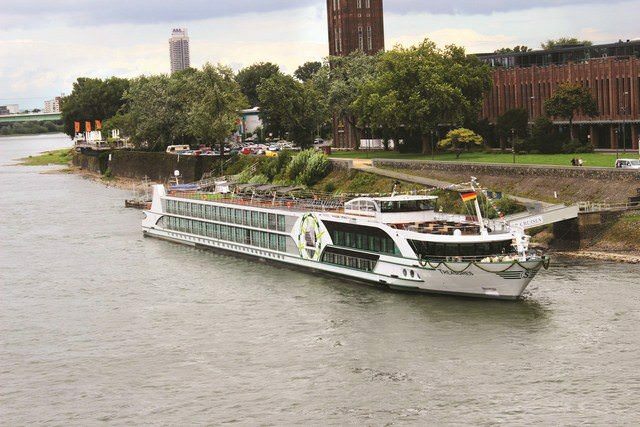 The company’s ships cruise the Danube, Rhine, Mosel, Main, Rhone and Saone rivers, as well as the scenic canals of the Netherlands and Belgium in spring. Tauck also offers cruises on China’s Yangtze River, on board the chartered Yangzi Explorer. Renovated in 2008, the ship carries 124 guests who all travel in staterooms equipped with mini bar, bathrobes and slippers, and TV. Egypt travels are also offered, combining a Nile cruise with a couple of days in Jordan. Complimentary wine, beer and soft drinks are included at lunch and dinner. Dining is open-seating at tables for four or six. All Inclusive: Tauck’s river sailings include all gratuities and airport transfers. No options are sold. For more information, see our Tauck Company Overview. 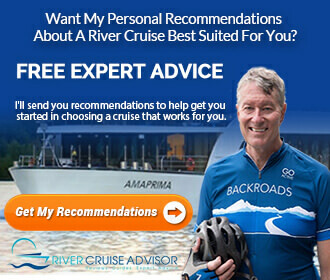 Read all of our articles on Tauck’s river cruisers. 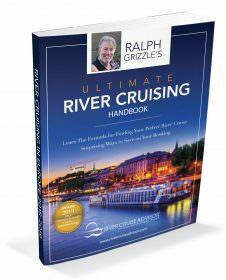 Great review, I have been wondering about Tauck’s River cruising capabilities and comparison to the other lines i.e. Viking, AmaWaterways, Avalon, etc. It appears based on your review the smaller ships and one price (no options) that Tauck lives up to its reputation of being a First Class Tour Provider. Absolutely, Tauck is exceptional. Thanks for your comment.